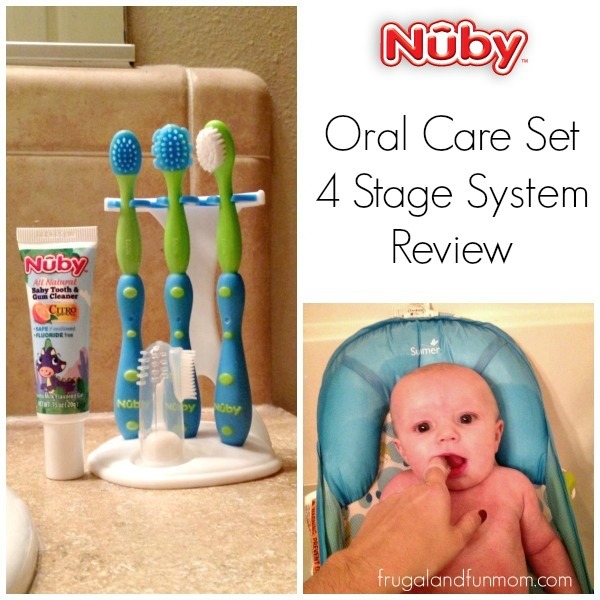 Nuby Oral Care Set 4 Stage System Review! 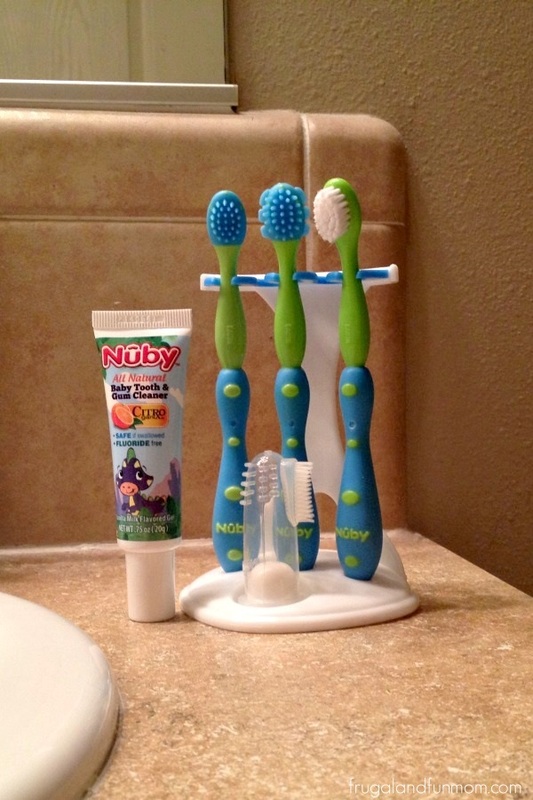 Thanks to Nuby, I was provided a Nuby Oral Care Set 4 Stage System to review here on Frugal and Fun Mom. I have begun cleaning my child’s mouth with this set and I am finding it to be very helpful with his dental health development. This gum and toothbrush kit has 4 brushes (silicone massager and three brushes) that are BPA Free and the perfect size for a small child’s mouth. 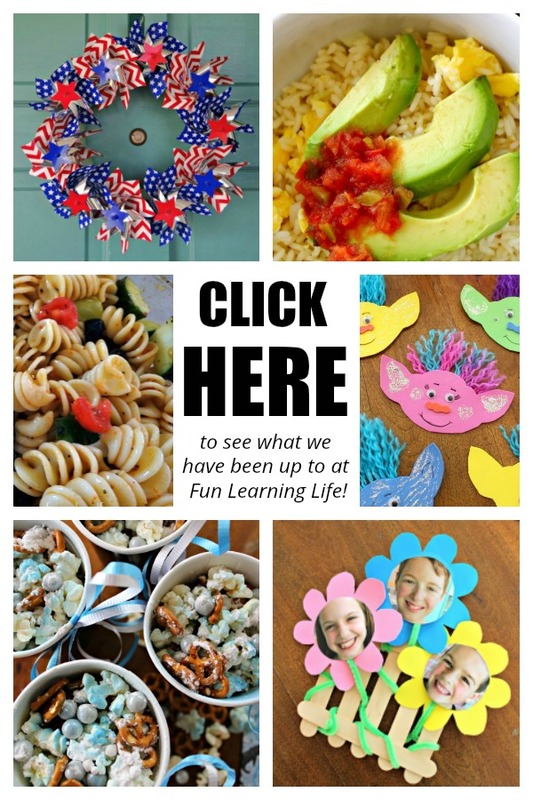 They help to protect primary teeth and promote the early development of good dental hygiene. 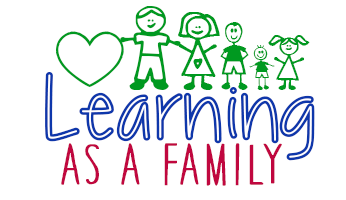 It also comes with easy to read instructions to help guide parents through the proper stages of beginning dental care. To clean my infant son’s mouth, I have first started with the massager which effortlessly slips onto my finger. 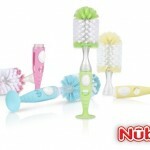 On the massager I have been using the Nuby All Natural Baby Tooth and Gum Cleaner. It has a mild sweet pleasant smell of vanilla and I’m happy to be able to use a safe formula on my child’s gums. At first my son made a few awkward funny faces as I put it in his mouth, but I felt assured that everything was okay since the silicone is super soft. We are now in a routine and he seems at ease during the brushing. I do believe this product is assisting me in instilling positive dental habits. 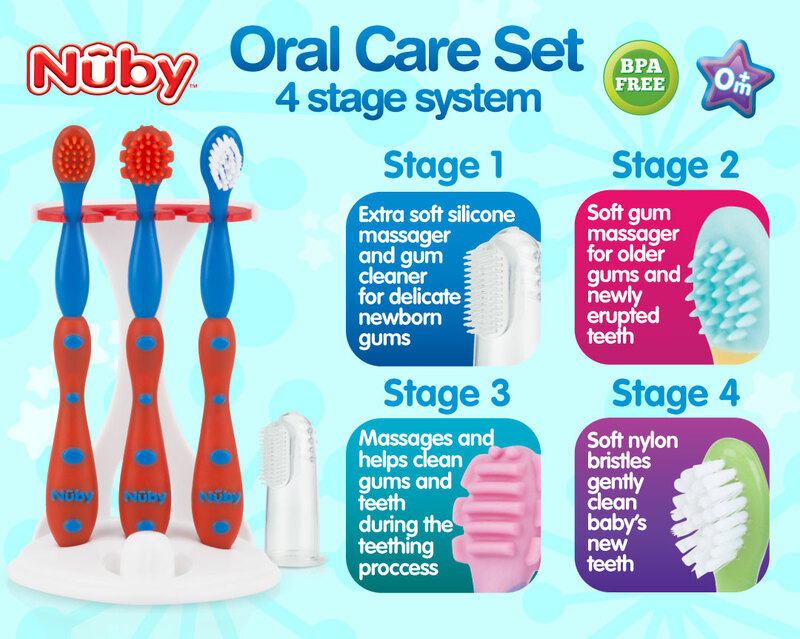 The Nuby Oral Care Set 4 Stage System can be used for children 0 and up and can be found at the Baby Depot at Burlington. 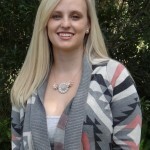 To learn more about Nuby visit their website at Nuby.com. You can also check them out on Facebook at facebook.com/nubyusa, Twitter at @nubyusa, Pinterest at pinterest.com/nubyusa, and Instagram at instagram.com/nubyusa. Feeding Little Man With The Nuby Garden Fresh Steam n’ Mash Bowl! 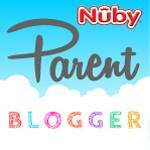 Nuby Easy Clean Soap Dispensing Bottle Brush with Suction Base Review! 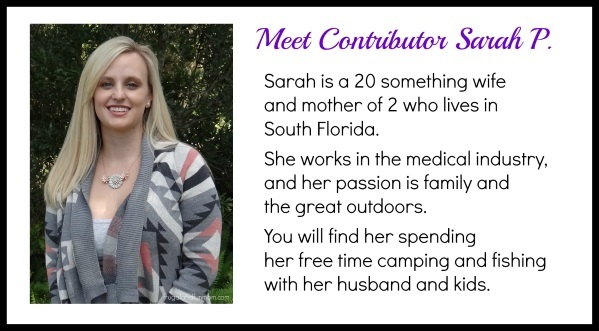 Introducing My Sister Sarah and Nuby Parent Blogger Product Reviews! 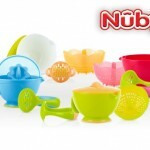 Baby, review Nuby, Sarah P.
We used Nuby products when our girls were toddlers. Looks like they have gotten even better since then! I haven't seen this before. 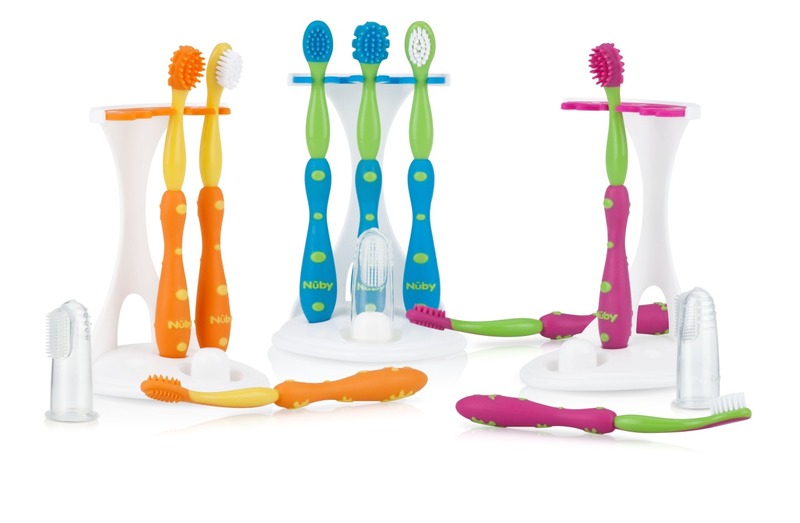 What a great idea to make a toothbrush set that includes babies! 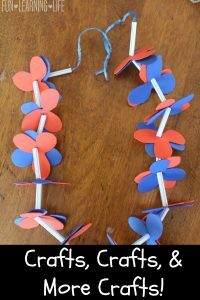 These look handy. My little boy was later than most on teeth coming in, but I hear that we were lucky with that. He's always good about brushing teeth now. I do like the massager. I will def. 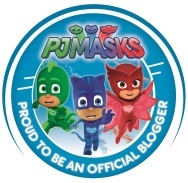 be showing this to my son and his wife, for their little one. 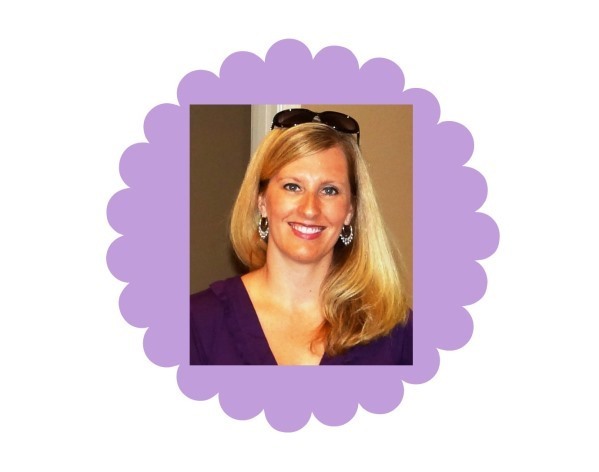 We used Nuby when my daughter was born too. :) I didn't realize they had toothbrushes for older kids too. I really wish they had these when my daughter was a baby. These look perfect!